I totally agree with P@YL. I am not much interested with Camera, Video recording, flash or what so ever due to I already had my N95 8gb. This Iphone is impressed by its 3.5" touch interface provided the same 16M colors. HOWEVER, I do not understand WHY NO BLUETOOTH???? As Iphone does not have all facilities while some other phones do! WHY not just equipt with bluetooth? so we can share some musics or pictures/movies which taken from the other phones that equipted with 5MP and view with this big screen by just tranfer it via bluetooth! 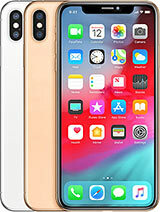 I believed you may have the same idea that it is not convenience to have a computer all the time with us while we only need to trasfer 1 or 2 interested files form one phone into this Iphone. 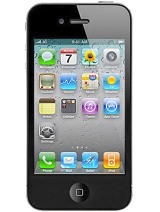 I think that by not equipt the BLUETOTH with this Iphone just a stupid idea of the builder!! I am sorry, I am not mean to offense people, it is just my idear. There is other options out there for charging iPod and i pressume the same goes for the iPhone! You can charge it through the car if you have the right equipment or you can purchase a usb hub that comes with a power adapter and plug it in to a power point anywhere in the house and it does not have to be connected to a computer! Easy. Clarity, 04 Jul 2008Okay, wow.. when i was reading all the comments on this trail, i got confused :) hehe Just ... moreP@YL has got a good point. People, we see alot of bloggers complaining it doesn't have this and it dosen't have that, yes it might be disappointing that Apple didn't offer these features with its release, but obviously this phone isn't made ofr your needs and benefits, so maybe the iphone 3g isn't for you. I don't like that it doesn't have MMS/PXT msg's, but the iphone does offer ways around this feature, as in email or over a short time, i'm sure a program will be able to be installed on the iphone 3g to allow the iphone to send and receive mms etc, same goes for any other add on features, i'm sure they will come in time. The iphone 3g suits my needs and benefits, so does it suit yours? If "No", then don't... there is heaps of great mobiles out there to suit each and everyones needs. i ph is not a ph. i didnt know that this rubbish doesnt even have mms. Definitely the iphone is the best there is. 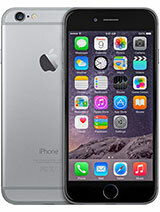 Price is not an issue base on the functionality and innovations of the iphone. Hi to all. I have been told that iPhone 3G can by bought only with 2 years post payed. Is this true? 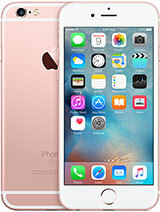 I want to by just the iPhone for 199$. I will still wait until there will be a new release with Bluetooth A2DP. Yes, small things like bluetooth stereo trasnfer etc matters a lot and they are missin! 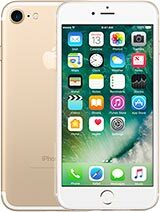 Okay, so yes,the iPhone is way behind and seems to be way overpriced for the little features it offers compared to other mobile phones. But do take note that the iPhone is, in essence, the first of its kind -- it's not really a smart phone but it's also not really just a gsm mobile phone. I guess it's the industries first attempt in incorporating a whole new experience with some mobile essentials with an exclusion of a few features, that may or may not be pleasing to some. We all have our own opinions. Some will find the iPhone stupid and its makers manipulative because they offer something people call "cutting edge" but really lacks the features to support this claim (no file transfer via bluetooth, low MP camera with no flash & autofocus, no message forwarding, no copy & paste of text allowed, no mms, no video capture, no removal multi-media card since it's built-in, etc.) but what it offers is a totally different experience with it's amazing touch user interface that mimics the nice lay-out we get from our mac computers. 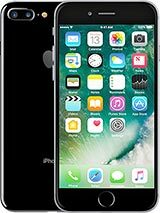 Yes, they're setting a new standard in terms of overall mobile telephony experience (operative word here is "experience"). But some of the lacking features (such as mms & video recording) has already been addressed by readily available third party applications (got this from my friend who actually owns the 2G iPhone). I guess more applications will be available soon enough - which i is definitely a good thing. As for the camera -- well, i guess we can't have everything.. maybe later on they'll increase the mega pixel, then add an autofocus, then a flash component. But for now we'll have to make do with the 2mp cam. If you're a camera person, then the iPhone may not be for you. No transfer of media/ files through bluetooth -- actually this i don't understand. For me bluetoot file transfer is a necessity. but then that's just me. If you don't need this feature, then good for you. No message forwarding/resending and no copy& paste of text -- well it's designed like a chat window where you can see the trail of conversation per person. so if you like forwarding messages, the iPhone may not be for you. Oh, and as for the price -- they said the 3g version is coming in cheaper. No removal mmc -- well i guess this isn't really important since you can just hook up your iPhone to the pc. It depends.. If you can't live without all the newer multi-media features (camera related and file transfer related, etc.) I guess you'll have to wait for the next generation of touch screen phones whether made by apple or not. 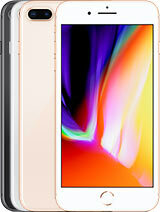 However, if you're willing to give up everything else in the name of mobile aesthetics, wifi connectivity, big screen for video viewing and web browsing, stability of software (I guess compared to windows os where they have this tendency to lag or slow down or even hang up), and a whole new touch experience, then yes, you should get the iPhone. well not bad, but some still missing on the web-browsing cannot visit wap-pages or wml-pages. For the sound midi file not supported, no ClipBoard to copy long messages to paste on it at the other note editor. Need to add support can install micro java app. camera pixels can be increased to 4MP or more. Just 2MP is not very attractive. Presently am using 3.2MP mobile. Anonymous, 01 Jan 1970But nobody gets in line just to get any nokia phone. It only happened with iphone.